Letting this awesome cover speak for itself! This is Embassy #1602, their Humongous clamshell is #1603. I'm figuring they probably started their video catalog with #1601, whatever that may be, but I might be wrong. 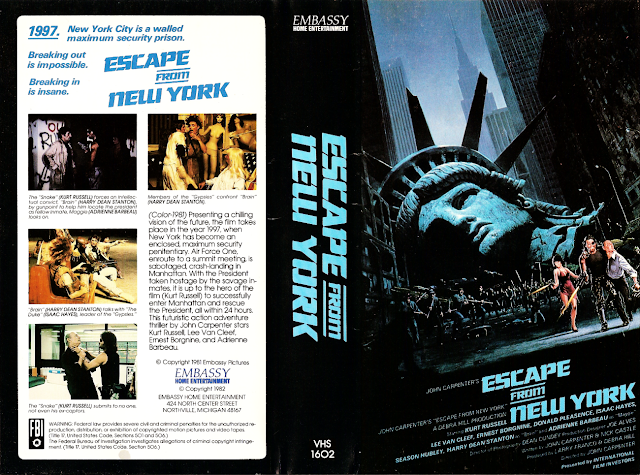 Also notice the old Embassy logo on this VHS, Humongous has the "E Star" logo most associated with the company's video releases. Also Also I'm unsure when they switched to cardboard smallboxes, but there are Embassy smallboxes dated 1983, so there might only be a handful at most of Embassy clamshell releases (pretty sure they started with video in '82). Scratch what I said about Humongous being #1603, it's #1613. D'oh!